Firmware corruption is rare for modern hard drives, but when it occurs, there is no way to extract data until the firmware has been successfully repaired. This is one of the most difficult tasks that a technician can be challenged with. Recovering firmware requires a lot of experience and expertise in the field, as well as extensive training on how to use the difficult, expensive firmware recovery products on the market. Even with the proper knowledge and tools, firmware work is still time consuming. The Atola Insight's revolutionary Automatic Firmware Repair function repairs corrupted firmware in less than 5 minutes with 2 mouse clicks. This is the industry's first and only user-friendly firmware recovery product. The Atola Insight's automatic firmware recovery system performs complex tasks in a simple, user-friendly format. 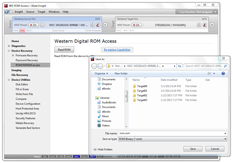 It applies intuitive technology to rebuild corrupted firmware files and restore hard drive functionality. 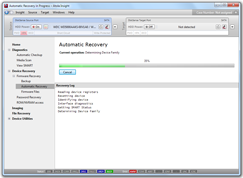 Just click the Automatic Recovery tab to see if the connected hard drive model is supported for this function. If it is supported, the function can be started with one more click of the mouse and is usually finished in less than 5 minutes. 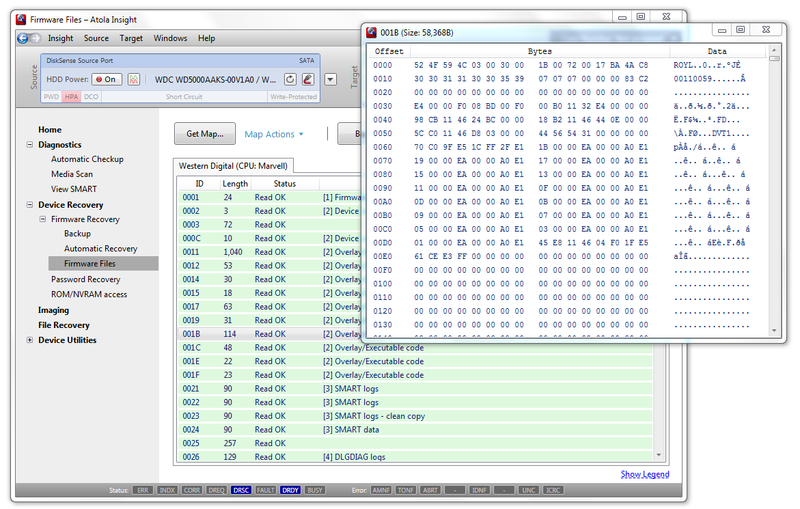 Using the Atola Insight, the operator can quickly and easily backup firmware files, including ROM/EEPROM/NVRAM images, from any connected hard drive. These files can be recalled for use later during the same case or in the future for cases involving the same hard drive models. The Atola Insight gives the user direct access to all firmware files and modules including those stored in ROM/EEPROM/NVRAM chips. Firmware files can be quickly and easily edited, verified, replaced, or erased using the Insight's smooth and user-friendly interface.